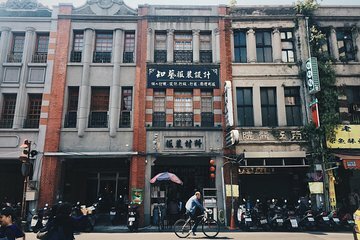 Enjoy a walking tour of Dadaocheng, one of Taipei’s oldest neighborhoods. Developed to support Taiwan’s thriving tea trade business in the 19th century, the area is steeped in history. Explore the narrow streets filled with boutiques, textiles, coffee shops, and cafes. You’ll also visit Xiahai City God Temple, a small but well-loved sanctuary frequented by couples and single people looking for love. Your preferred departure time (Morning or Afternoon departures available).